Carillion, knife in hand, wonders whether she will be able to cut and run her way out of this one like she usually does. The fire is all around her now. Hard to see. Hard to know what is the best thing to do. Escape is surely her only choice. Suddenly Rat is there. Her friend. Together they may be able to escape the terrible creations of the alchemists’ guild – the Tallowmen. With the truth of her origins firmly kept secret from her new life, or so she thought, Cari has made a new life in Guerdon. Through odd circumstances she finds herself presented with a new opportunity, and soon she will be reunited with her ‘quality’ background, whether she likes it or not. Spar is dying, no doubt about that. The stone-plague took him a long time ago; he is on borrowed time, kept alive and mobile by the grace of his regular injections. When he finds himself tangled up with enemies old and new, those injections will be harder to come by. Spar needs his friends, the thief and the ghoul, more than ever, but they have their own enemies to face. First in a new series, The Black Iron Legacy, this book is incredibly imaginative. The main characters, and indeed the combination of different species/beings in the story offer the reader something new. 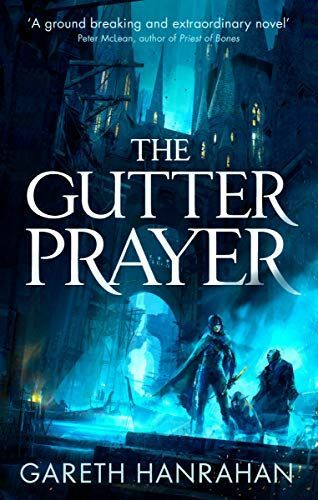 It is a fairly fast-paced and action-centered tale, but for some readers the level of descriptive detail, particularly concerning the physical makeup of these characters, will not hold enough depth. A part of them is held back somehow, rendering them not quite tangible enough for those who crave a deeper connection with their protagonists. 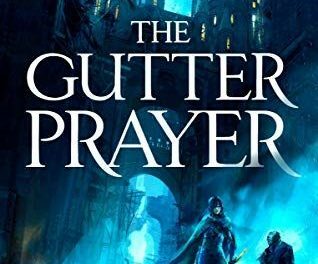 That is not to say The Gutter Prayer is not enjoyable. Anything that offers something different amidst the landscape of modern fantasy and ‘grimdark’ is a welcome offering and Hanrahan delivers a unique world with a well-structured narrative that weaves alchemy, gods, disease and a unique magic system among a network of thieves, scavengers and underground horrors, and manages to keep the darker, more modern side of fantasy well-balanced with some of its traditional tropes.